Yes. 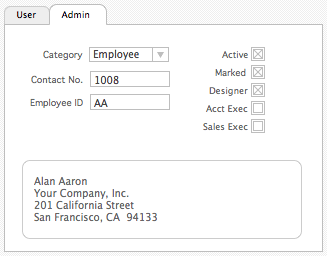 I know Tab Controls were released in FileMaker 8. But, without a Go to Object command and other niceties like the GetLayoutObjectAttribute function, they weren’t ready to replace all tabs all the time. Many of you might still cling to your homemade tabs. Not me. I’ve committed 100% to tab controls to handle all (well almost all) of my tabbing needs. You can make fancy fake tabs and use any graphics you want for the tabs. 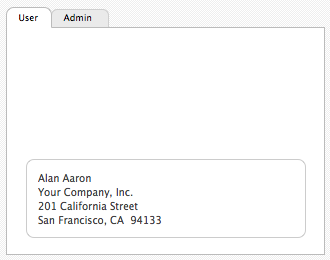 But that’s so FileMaker 7 of you. The problem is fake tabs are not end-user friendly. They aren’t even developer friendly in my opinion. Instead, use tab controls. They can look pretty boring by default. But take away some of the old-fashioned styling and they become elegant. Native vs. bolted on. Native looks better my friends. Since most of my customers are designers, I pay close attention to ways to make my UI look better. Tab controls can be used to simplify. Compare the default User tab above to the Admin tab below. Users, even Admin people, don’t need to see all the information all the time (Keep in mind that there are other fields on the screen. 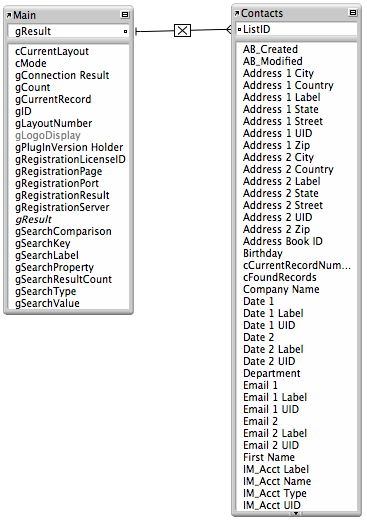 The user is just not being bothered with all the information as he or she uses the database). Tab controls are revolutionary because they let our users customize their own interface. That’s heresy you say. That breaks the rules of keeping the user in his place. Yes. And that’s the wave of the future that you might want to embrace. FileMaker is the database of choice because it empowers the user. You know that thing where everything isn’t top down. That user who is on the front lines where all the new information is. That’s the user who knows what he or she needs. I go on about tab controls as they pertain to my Studio Manager product over on Studio Manager Bulletin. The treatment there is not very technical but is very enthusiastic. I’m thrilled to be using tab controls instead of fake tabs in my product. One of the main features of Studio Manager is that it maximizes user customizability. Studio Manager is not a black box. Not to developers and not to users. Deal with it. This entry was posted in FileMaker Discoveries on November 1, 2006 by janet.